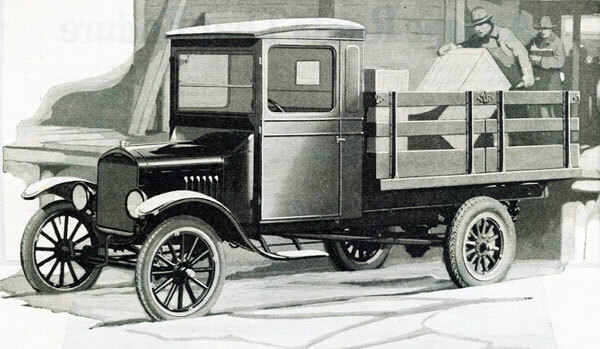 Ford introduced the one ton, heavy duty, TT truck in 1917. 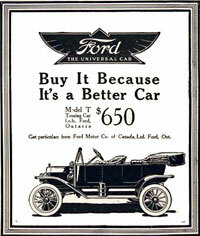 It was the most radically different Ford Model T variant ever produced. 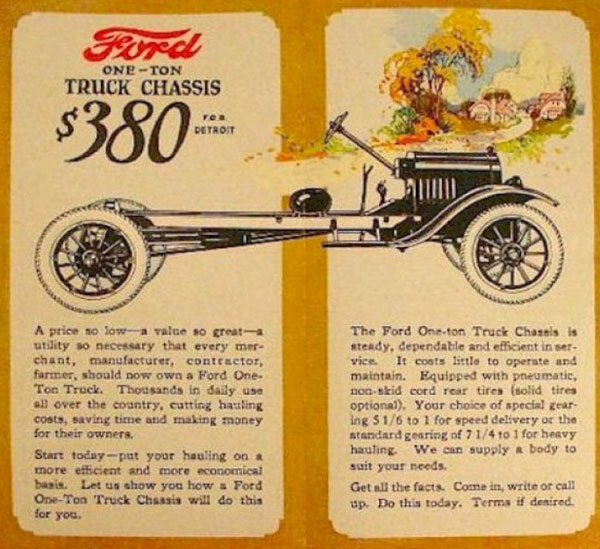 While its used the same 20 HP engine and transmission, it's chassis was 25 inches longer than the standard Model T, and was beefier, too. 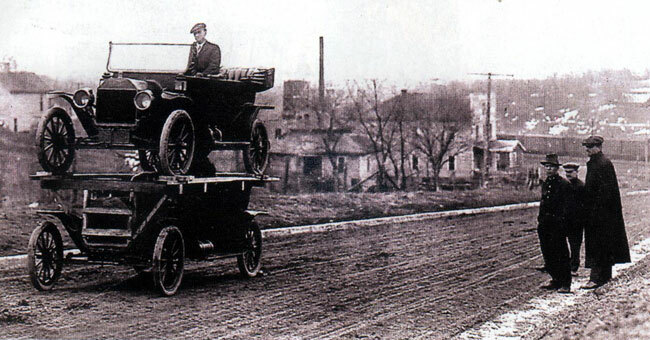 TTs had a different rear end, with worm gears and lower ratios, to enable the classic Ford Model T motor to move a ton of freight. 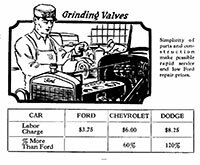 Speed was the trade off. The result of lower gear ratios, designed to haul freight, and an approximately higher weight of 900 lbs over the heaviest regular T is that TTs drive significantly slower than regular Ts. If you push them hard they might reach 24 MPH, but they are far happier at around 20 MPH. 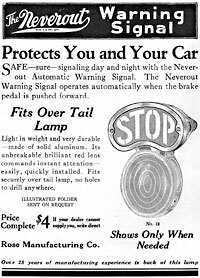 Many were also fitted with one of the few Ford Motor Company approved after market "conversions," namely the Ruckstell rear end, which was an "Under-drive," or granny gear, that reduced ratios even further to provide even lower ratios for tackling steep hills and muddy roads. 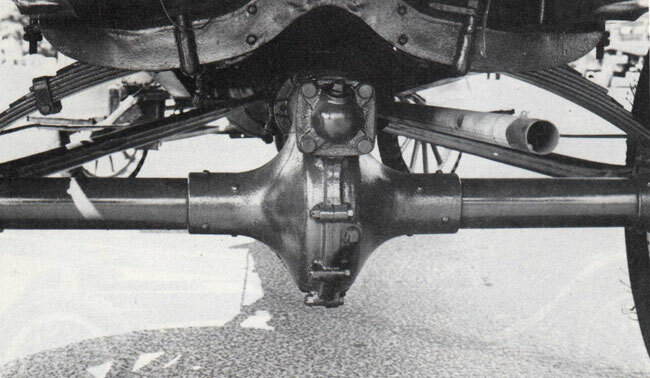 Another significant difference between the TT and regular Ts were twin rear leaf springs, one per wheel, unlike regular Ts that had one set of cross beam leaf springs at both ends of the vehicle. The TTs rear wheels were also different from the front, with shorter, stouter, wooden spokes and wider, stronger, tires. 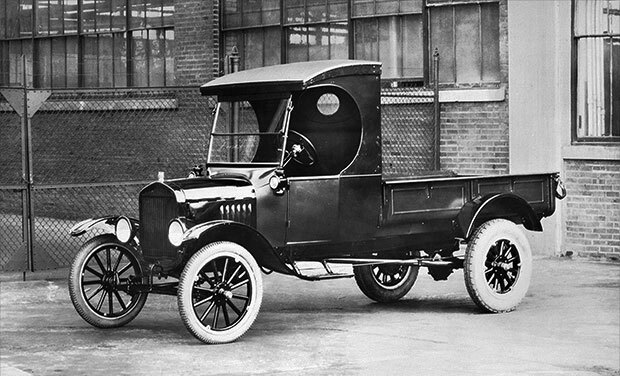 Factory image of Ford Model TT truck. 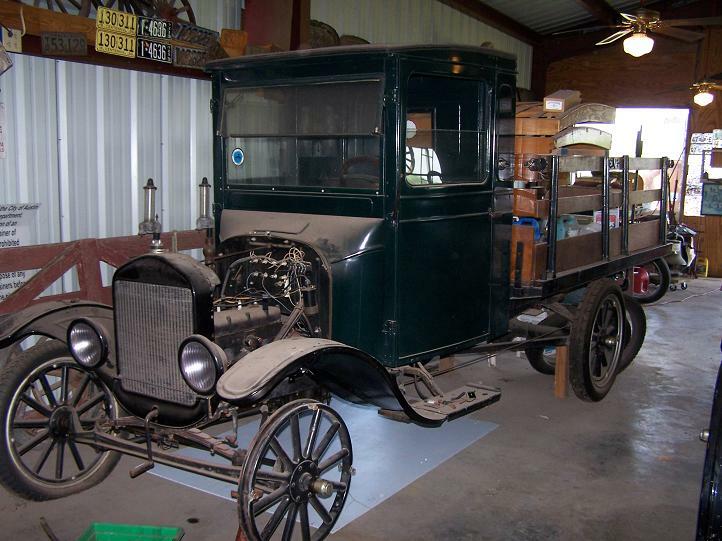 Often the vehicles were shipped and sold this way, with buyers having custom made cabs and bodies built subsequent to purchase. 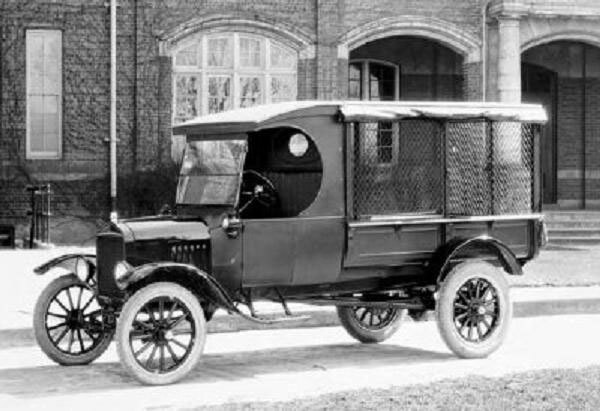 Factory image of Ford Model TT truck. 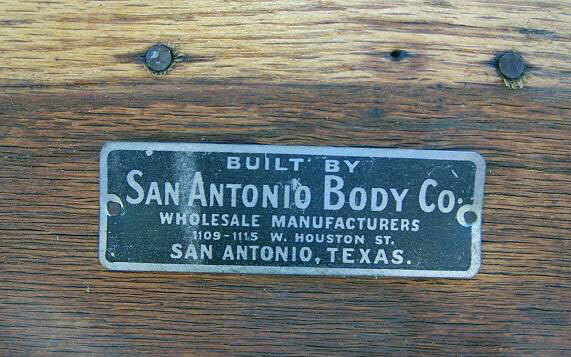 The factory made metal bed was not a popular option, possibly due to its very low sides or that folks were used to buying TTs in the stripped version. An original TT factory box is a very rare find now. 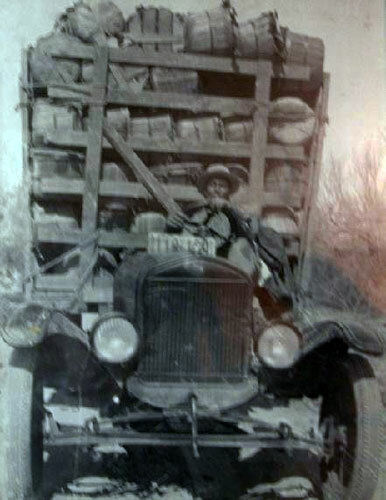 Ford Model TT truck with factory built C cab and bed, with locally built bed roof and what looks like rentention wire, possibly a stray dog cage. 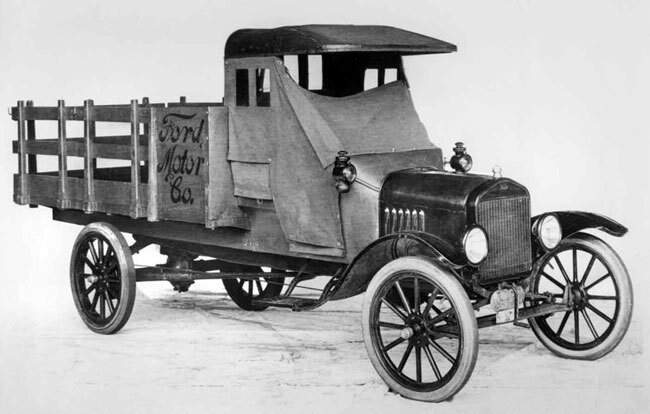 Ford Model TT truck with locally built cab and bed. 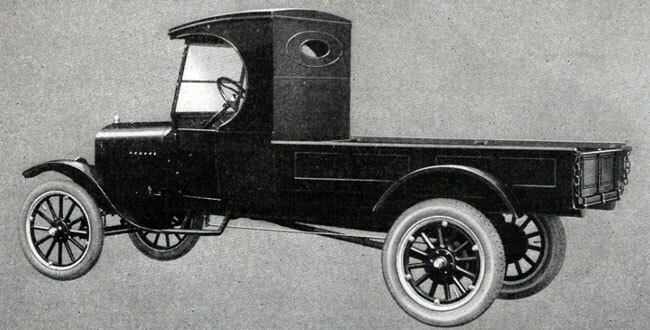 Ford only made TTs with closed cabs in the final two years of production, 1926 and 1927. Initially, Ford sold TTs as a bare bones package, essentially just a chassis and engine. 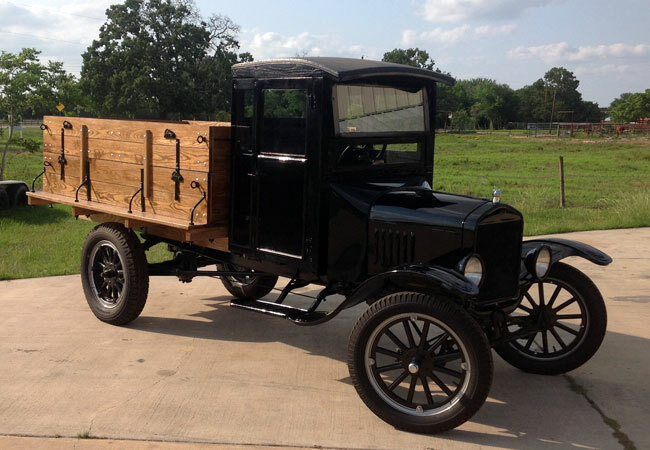 Purchasers would then go to local body builders to have custom cabs and beds installed. 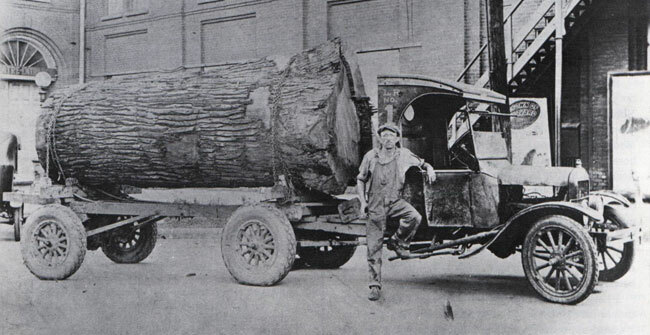 While it's likely a number of standard plans were available in book form, the variety of wooden cabs and beds on surviving TTs is an indication of the enormous variety these craftsmen created. Each TT was essentially a hand made piece and local ingenuity ensured that TT owners would have locally made solutions for local conditions. 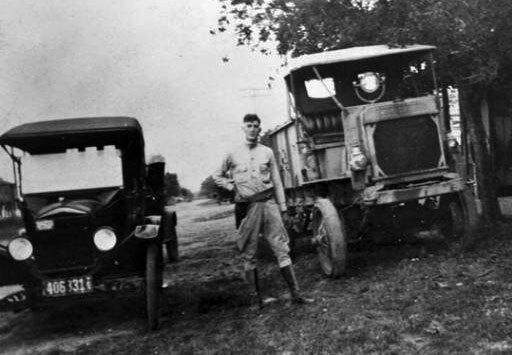 While the briefest of internet searches will reveal many significant mechanical changes, such as shortened chassis for wreckers, dual rear wheels, tandem axles and even caterpillar tracks and snow skis at the front end, such radical surgery was not really needed in Texas, so you won't find many examples of such significantly altered TTS down here. 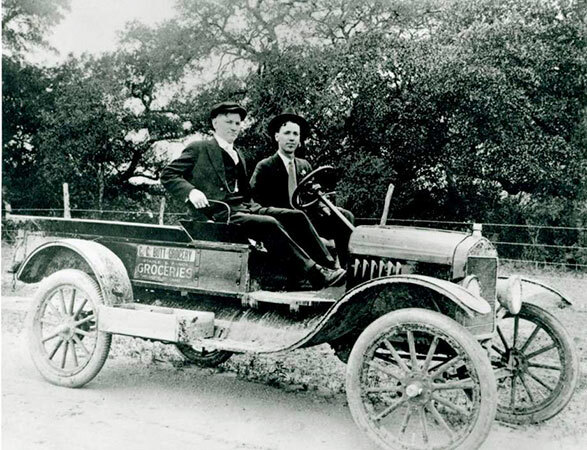 Ford Model TT truck with C cab for sale San Antonio Ford dealership near he Alamo circa 1925. 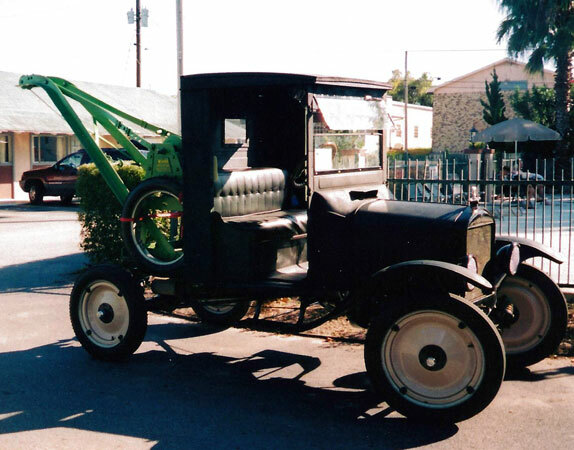 Note also the Fordson tractor. 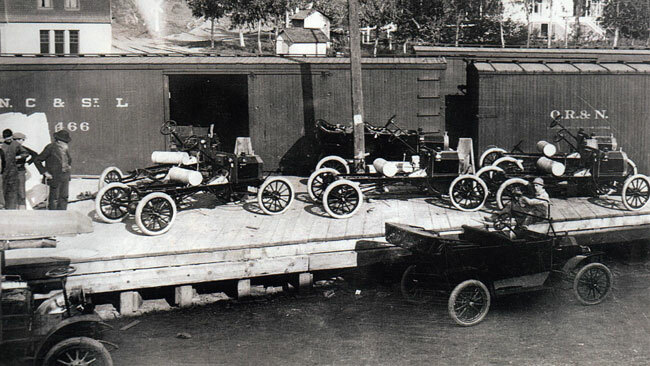 A line up of Model T vans owned by Sunshine Laundry in San Antonio in 1927. 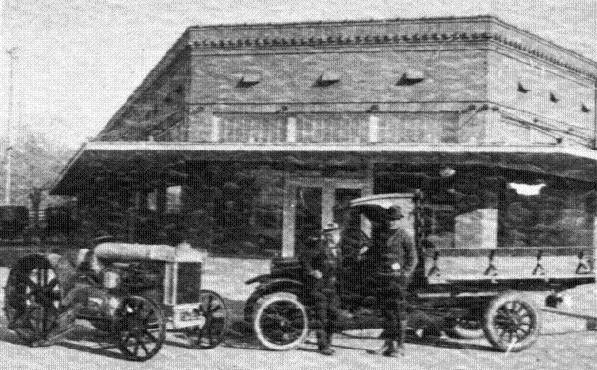 The business still operates from the smae location on Flores Street. 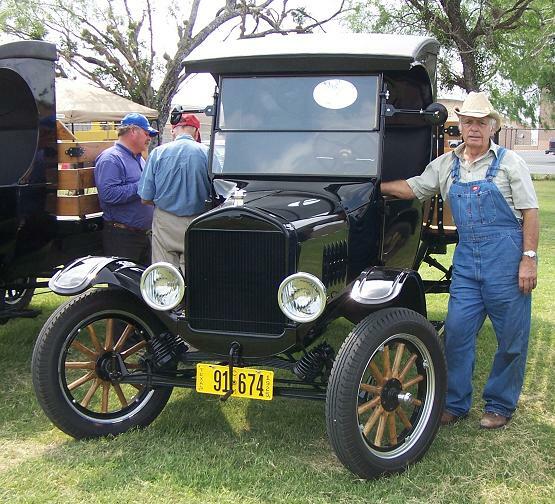 By 1920 over half the trucks in America were based on the Model T and most were owned by farmers. 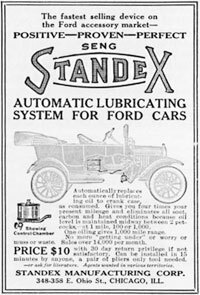 In 1924 a factory made cab and metal bed became available. 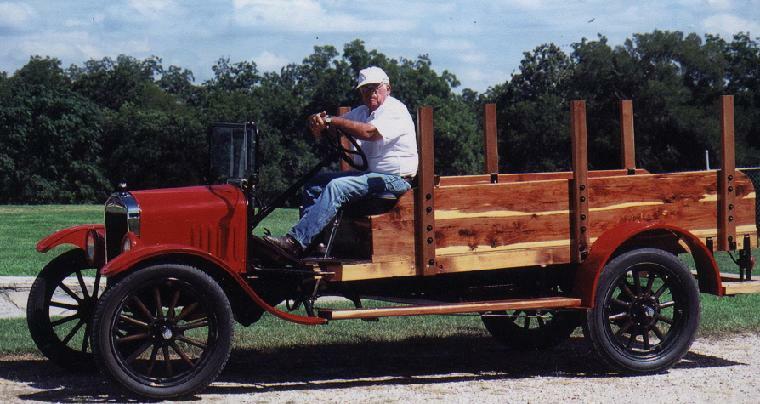 Sales were beginning to slip due to improving competition, and the classic "C cab" was introduced as a lower cost alternative to having a local company build one. The cabs were noisy, cramped and crude, lacking any creature comforts, while the metal beds were very shallow and not particularly sturdy. Neither was popular with folks who used TTs to make a living, especially while the bare chassis and engine combination was still available. 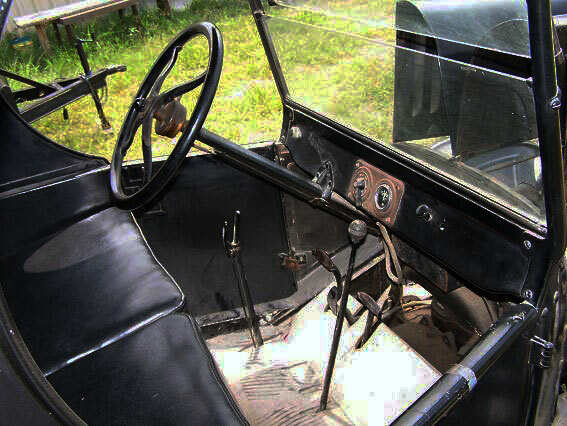 A factory built enclosed cab made out of metal finally became available in 1926. 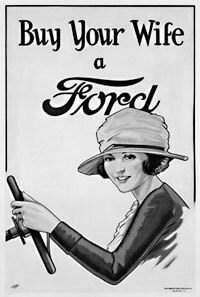 What follows are images of Ford Model TT trucks in San Antonio and South Texas. Many owners regarded their TT almost as members of the family. 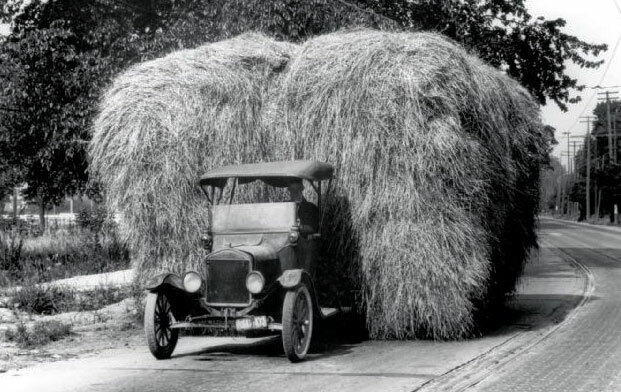 While newer vehicles were acquired and discarded, they kept their old TT either in working condition or tucked away in the back of the barn. Somehow they just could not get rid of them. As a result, there are a surprisingly number of these lumbering old work horses around today, a reminder of the miracle that such vehicles were to local working people. 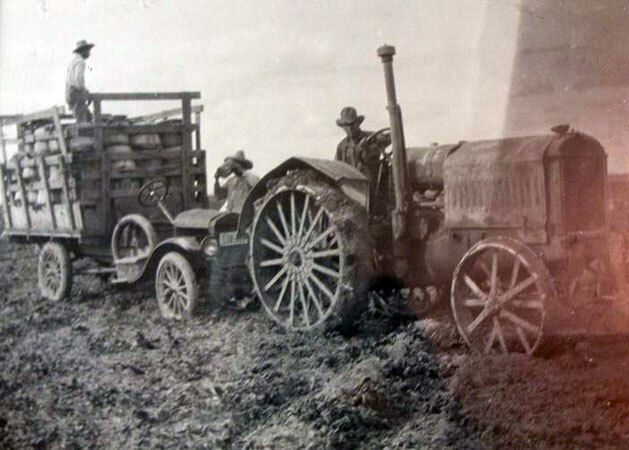 Twenty miles an hour may not seem fast today, but for farmers and other tradesmen, it was a break through in being able to bring goods to market and extend the range of their businesses. 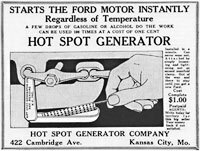 1920 Ford Model T Depot Hack, Red McCombs, San Antonio, TX. 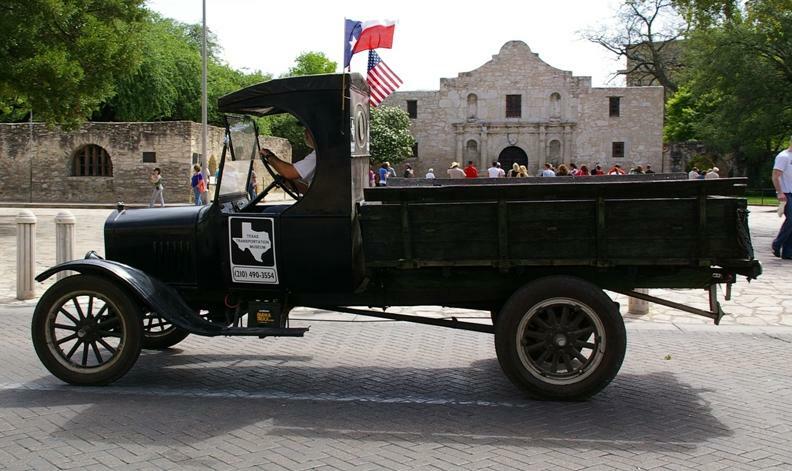 1921 Ford Model TT Truck, Joey Groff, San Antonio, TX. 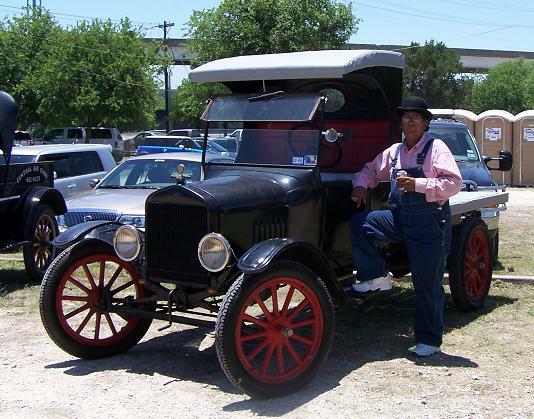 1923 Ford Model T TT C Cab, George Quintanilla, San Antonio, TX. 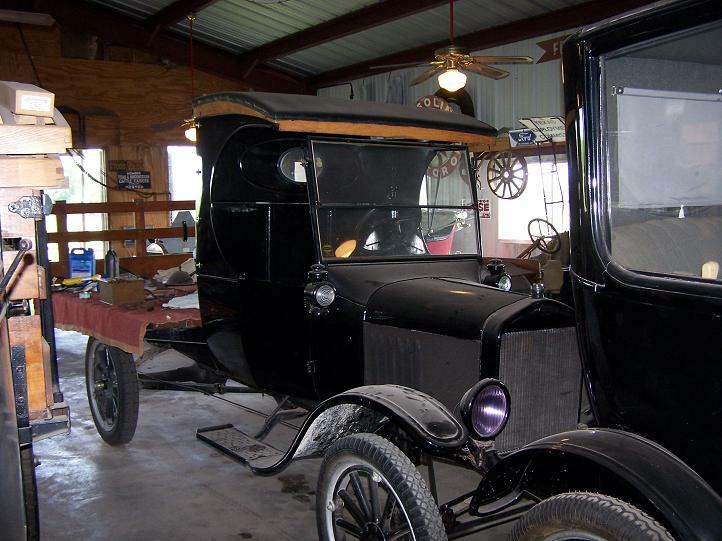 1924 Ford Model T Depot Hack, Donna Wilhelm, Castroville, TX. 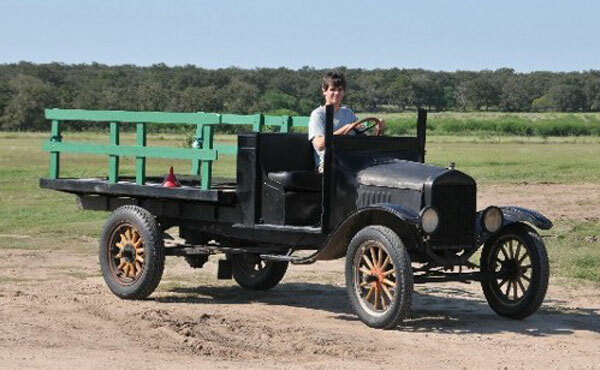 1924 Ford Model TT Truck, Daniel Bratcher / Gary Bethke, Schertz, TX. 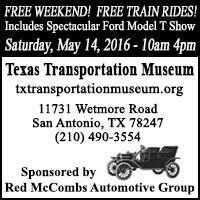 1924 Ford Model TT C Cab, Texas Transportation Museum, San Antonio, TX. 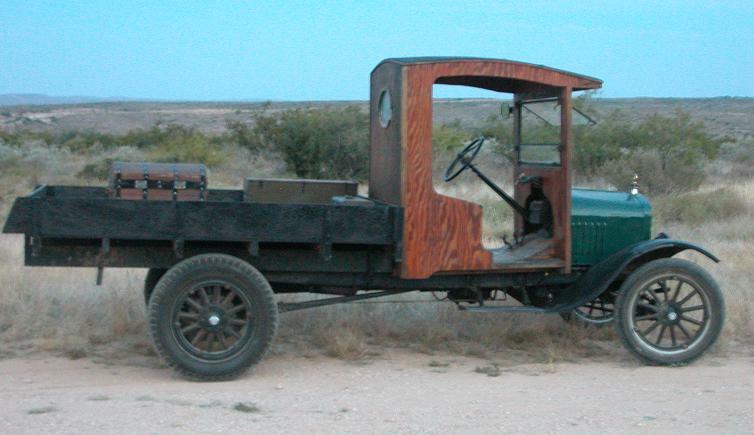 1924 Ford Model TT C Cab truck, Sonny House, Lockhart, TX. 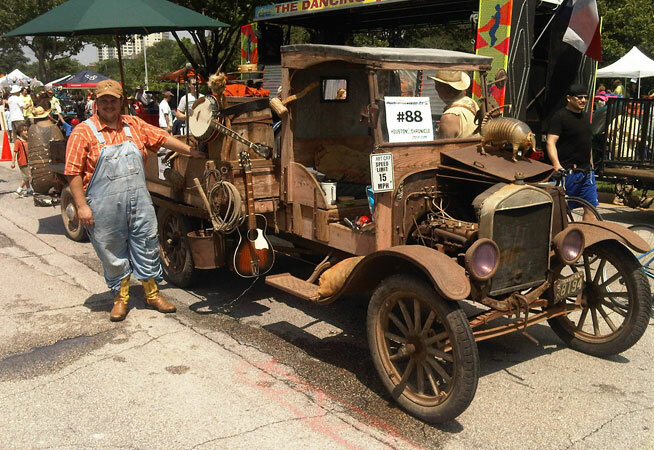 1924 Ford Model T C Cab project car, Mike Mackechney, San Antonio, TX. 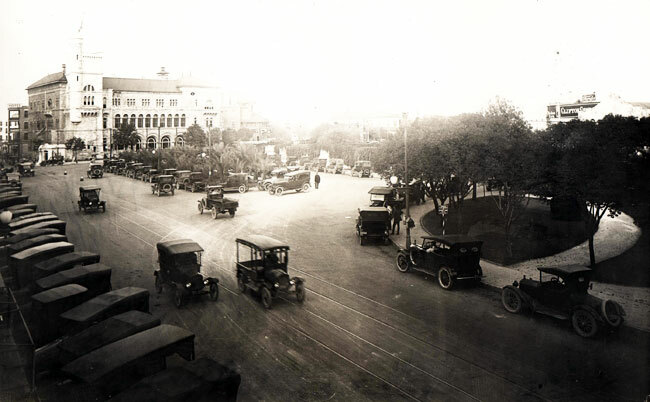 1925 Ford Model TT, George Barrera, San Antonio, TX. 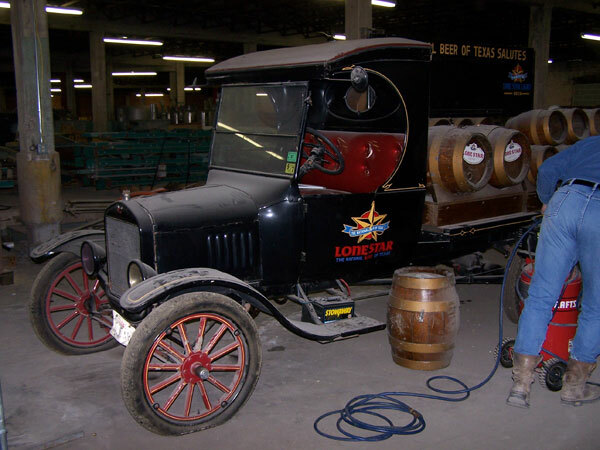 1925 Ford Model TT C Cab, Pearl Brewery, San Antonio, TX. 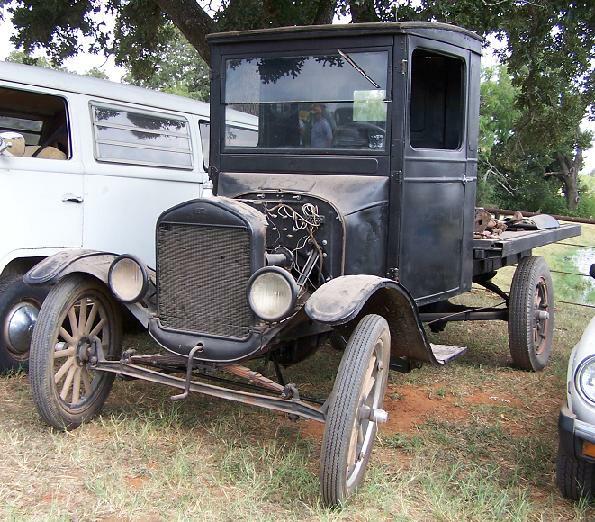 1925 Ford Model TT, James Deatherage, Seguin, TX. 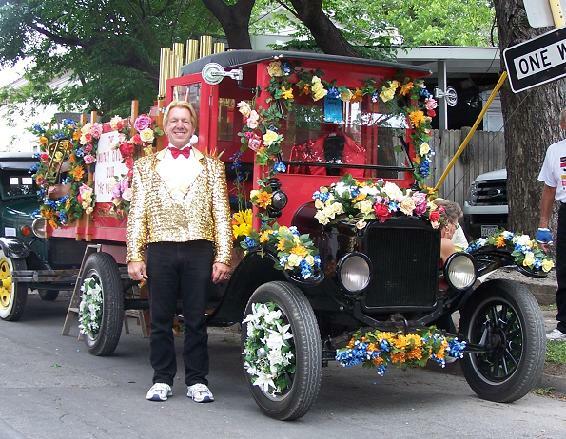 1925 Ford Model TT, Anton Hajek, San Antonio, TX. 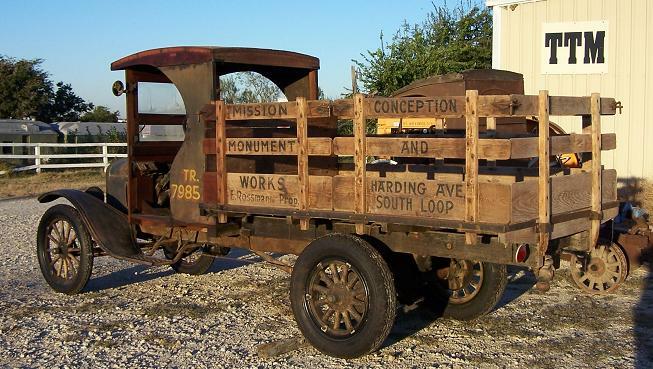 1925 Ford Model TT C Cab, Tom Campbell, Castroville, TX. 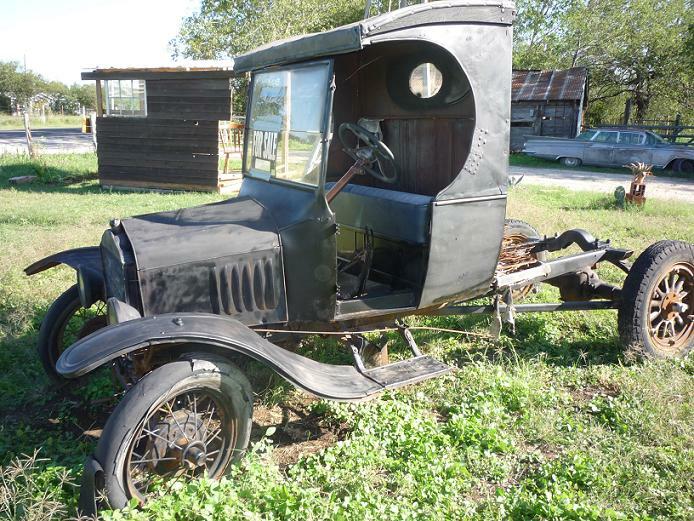 1926 Ford Model T Closed Cab TT, Sonny House, Lockhart, TX. 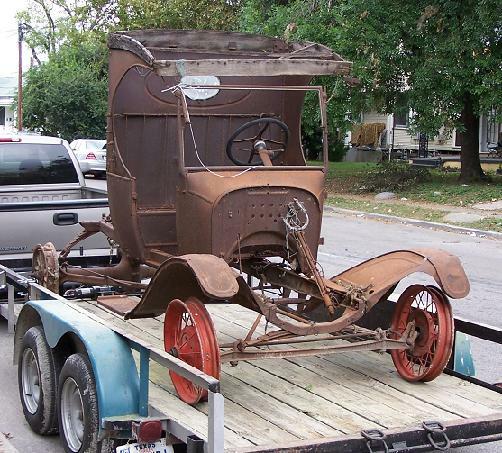 1926 Ford Model T Closed Cab TT, Brad & Illona Weber, San Antonio, TX. 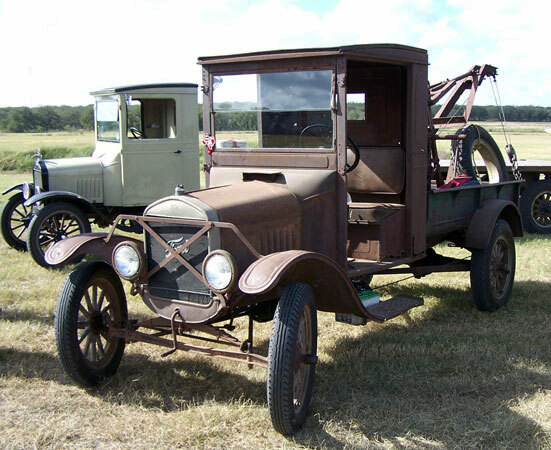 1926 Ford Model TT tow truck, Willie Cordes, Schulenburg, TX. 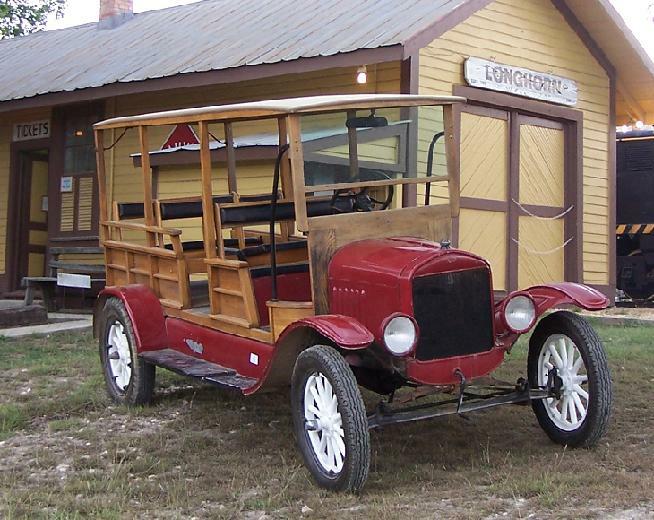 1927 Ford Model TT, Willie Cordes, Schulenburg, TX. 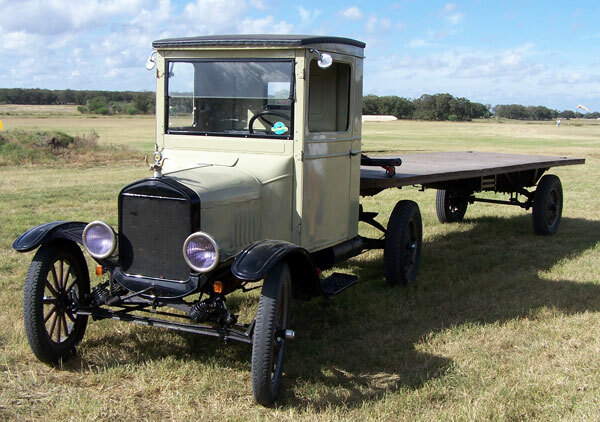 1927 Ford Model TT trailer truck, Willie Cordes, Schulenburg, TX.